Our third concert of the 2015 series, the Solstice concert. 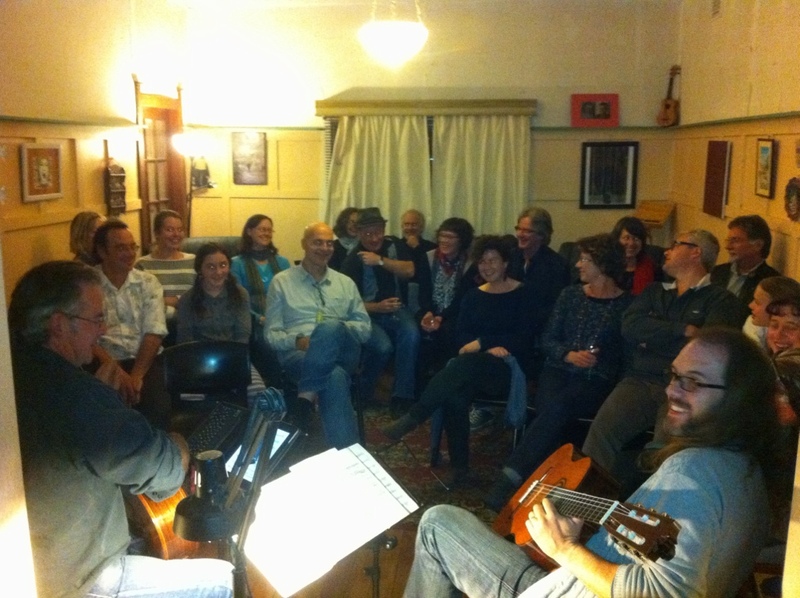 17 February 2015 Last night we read through a few kilograms of music and we think we have a nice selection for our next concert on April 12, it will be a programme of all Latin music! Performed our arrangement of the Jean-Phillipe Rameau A minor suite at the New England Bach Festival. House concert and curry night. Playing at NERAM Harvest this Sunday from 4-5 as EphenStephen, then as WirryCow with Kerry Watson from 5-6. With Margaret Butcher (violin) and Eleanor Streatfeild (cello) at the recent Glass@75 concert. Ever thought recorder, violin, saxophone and guitar were a great sounding combination? Well, Alana Blackburn (recorders), Margaret Butcher (violin/viola), Woody Woodhouse (saxophones), Stephen Tafra (guitar) and Steve Thorneycroft (guitars) have put together a program in which you can hear this combination, in duos, trios and quartet. 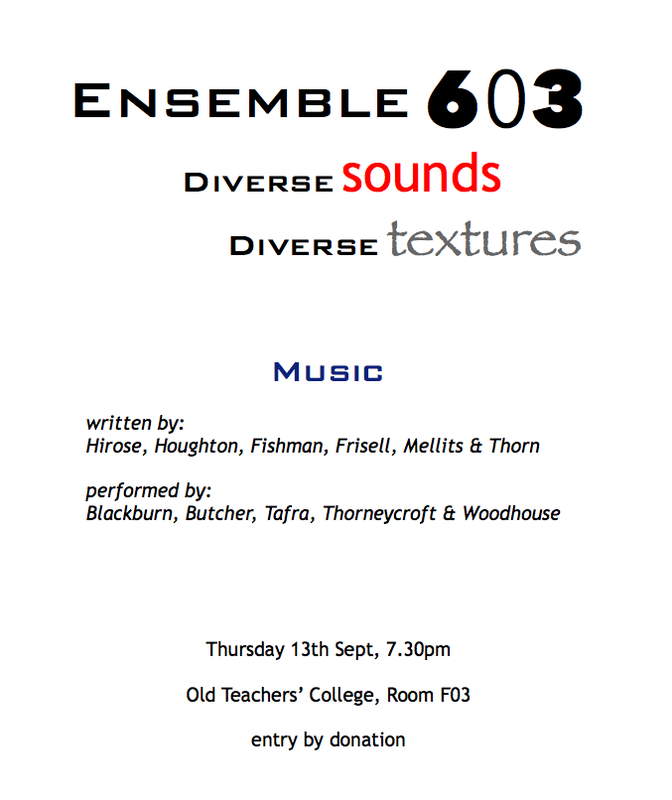 We will play contemporary music in a wide variety of styles. 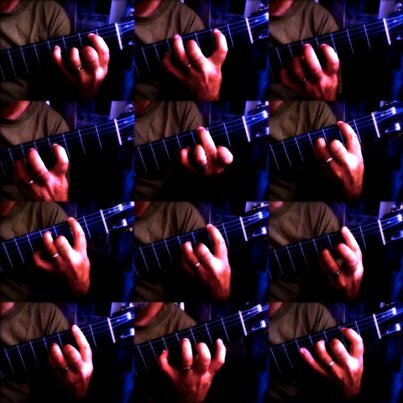 Composers include Greg Fishman, Bill Frisell, Ryohei Hirose, Phillip Houghton, Marc Mellits and Benjamin Thorn. A great little comic by our friend Graeme Compton. And here it is again set to music by Steve. “Aliens made me do it”. Had a great rehearsal last night. The attitude “let’s try this one with that one” soon filled the kitchen with all things plucked. Bit of a guitar hangover this morning though. 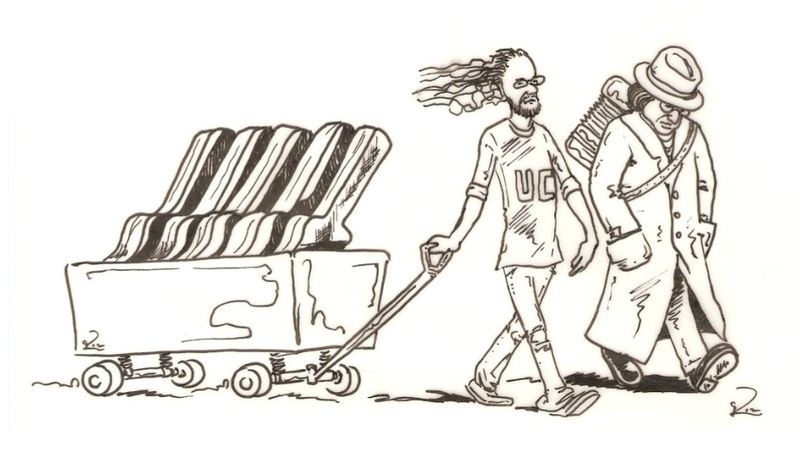 Part of an EphenStephen cartoon series by Graeme Compton, stay tuned, pics and music on their way. Our old website is closed, but here are some gigs dating back to 2005, the ones we could remember at least. Robyn Bradley – piano, Margaret Butcher – viola. Come and listen to some beautiful melancholy things to celebrate midwinter. The Steves will be play Erik Satie’s ‘Gnossiennes’, Philip Glass’ ‘Opening’ and a J.S.Bach prelude; Steve Harris will read some poetry; and Robyn and Margaret will play Australian composer Robert Davidson’s ‘Lento’ and Arvo Pärt’s ‘Spiegel im Spiegel’. Our duo is going solo for a bit! Stephen Tafra will be playing the Weiss Concerto for Lute and Strings in D minor with the Brisbane Baroque Players. April 21st, 3pm, St Andrew’s Uniting Church, Cnr Creek and Ann Streets, Brisbane City. Both these last two events are part of the New England Bach Festival. 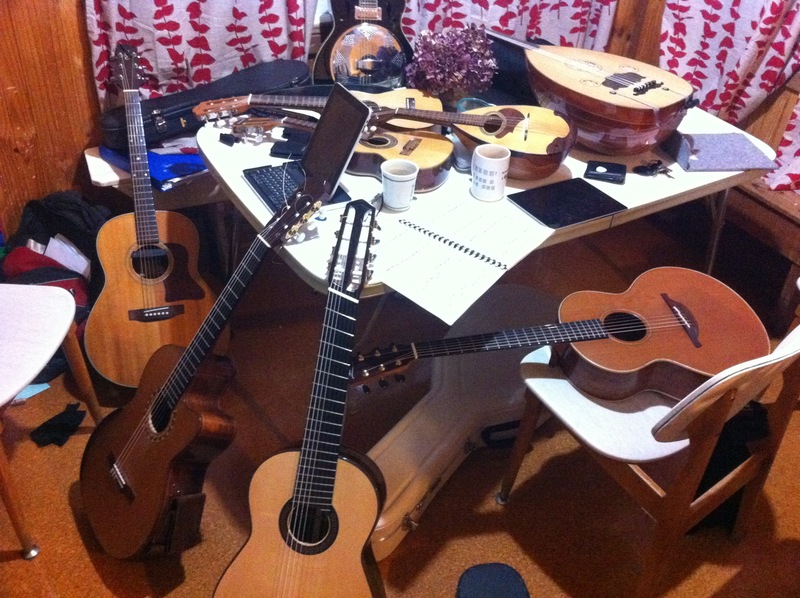 • Playing at the Armidale Composers’ Concert this Saturday 31st March 2012, 3pm, Old Teachers’ College Auditorium. Entry by donation. • We’re giving a concert of guitar and piano music, performed on period instruments, with our friend Keith Power. Music by Diabelli and Field. Feb 5th 2012, 4pm. There is no entry charge but seating is limited, RSVP details are on the poster. • New England Regional Art Museum’s cafe (Kentucky Street Armidale 02 6771 2907) October 14 2011, starting at 5. Guitar duo stuff from Bach to Beatles and celtic and gypsy swing for guitar and accordion. • Feeling happy? Cheerful? Enthusiastic? We can fix that. Wallow in your sorrow and join us for an evening of melancholic English words and music on the Winter Solstice, June 22nd, 2011 at 8pm in the Old Teachers’ College, room G31. Features Eleanor Streatfeild (cello) and Stephens Harris, Tafra and Thorneycroft (words, guitars) with music by Britten, Dowland and Holborne and words by MacNeice, Hardy and Dickinson. • UnevenStephen with Stephen O’Hern, Armidale Club. 26 June 2010. • A selection of Bach Chorales peformed on two lutes and then standard and baritone guitars. NERAM. 26 Sep 09. 12:30pm. 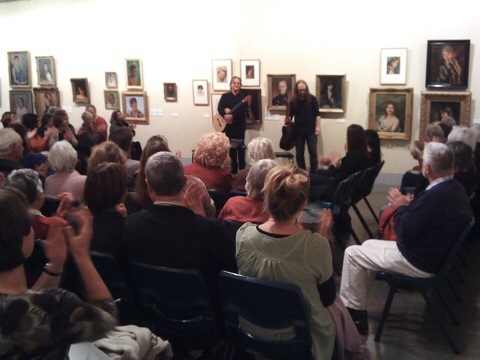 • Armidale Spring Music Festival 18 September 09 at New England Regional Art Museum. 7pm. • Civic, Gunnedah. Goldberg Variations. • Goldberg Variations. Conservatorium Chapel ,Tamworth, October 19, 4 pm. • Music On A Market Sunday. Uniting Church Armidale 12:30 pm, 30 August. • Armidale Symphony Orchestra with Steve Thorneycroft and Steve Tafra (guitars), Murray Winton (percusion), Graham Howard (conductor). Grainger – Irish Tune from County Derry, Mendelssohn – Symphony No. 5, Steve Thorneycroft – Spin Cycle, Vaughan Williams – English Folk Song Suite. Lazenby Hall UNE, $20 (adult), $15 (conc), $5 (stud.) at the door. • Goldberg Variations CD launch. 15th June 08, 5 pm. Old Teachers’ College. • December 7th 2007, 7pm – Subminimal Messages, a celebration of new music from local composers. Music by Maddox, Thorn, Ghandar, Thorneycroft and Plankenhorn. Old Teachers’ College.$15/$10/$5. • October 28th, 2007 – Old Teachers’ College, Armidale. • December 2nd , 2006 – Steve Reich 70th birthday concert. • September 25, 2005 – Timaru, New Zealand. Concert for Timaru Classical Guitar Society. • September 24, 2005 – Christchurch, New Zealand. Concert for Christchurch Classical Guitar Society. • September 23, 2005 – Masterton, New Zealand, ‘Spring Strings Festival’. 7:30 pm. • September 23, 2005 – Masterton, New Zealand, ‘Spring Strings Festival’. 11 am – 1 pm. Masterclass. • September 22, 2005 – Masterton, New Zealand, ‘Spring Strings Festival’. 7 pm. Ensemble workshop and festival opening. • September 21, 2005 – The University of Waikato, Hamilton New Zealand. 1 pm. • September 8, 2005 – Pluckers ‘Tingling Toungues’ Beardy Street Armidale. Hello EphenStephen! 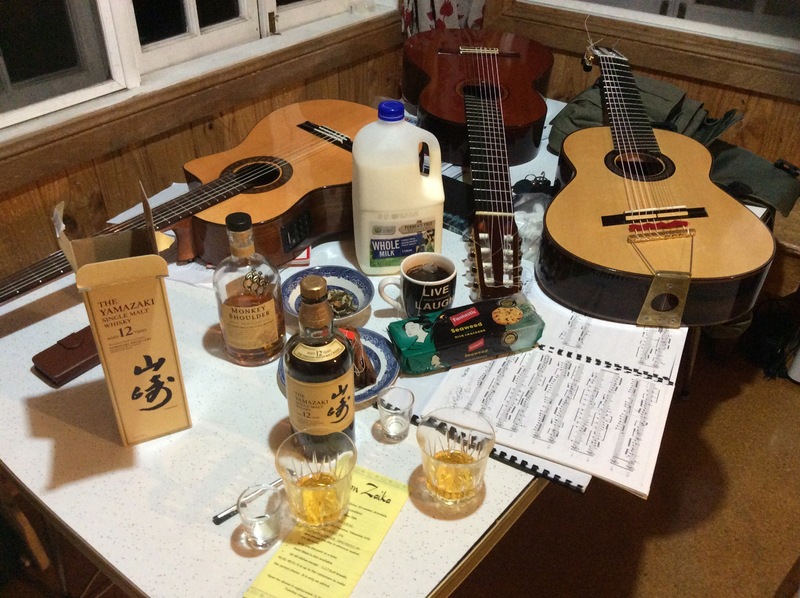 I think those single malts – or the excitement of a multitude of guitars! – may be getting to S1 … you might like to check the dating at the top of this news feed!! !